For the very best selective weed killer for lawns, choose Weedol Lawn Weedkiller. 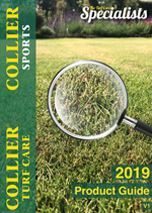 Buy now from Collier Turf Care safely and securely online. ICL’s Esteron T, a low volume dual action selective herbicide, it is also now available in a more convenient 2 litre pack. Vitax Lawn Clear provides the answer to that tough weed that another selective weed killer may leave behind, including broad-leaved (greater) plantain, ribwort plantain, creeping buttercup, white clover, dandelion and daisy. Rescue is a powerful, selective weed killer for effective control over Ryegrass weed infestations in fine turf on golf courses and bowling greens. A pesticide that targets only what is labelled, allowing it to be sprayed onto grass or near plants you want to keep. Selective weed killer will work at its best when the weeds are growing well (April - September) and when moisture levels are good. The types of weed and whether it is a fine turf surface (Golf / Bowls) or outfield (Fairways / Sports Pitches) dictates the weed killer to be used. Using a spray marker dye will ensure accurate application to the treated area, and avoid missing areas and possible long lasted turf damage due to overlap. Avoid using selective weed killer in drought or frosty conditions. By law, everyone who uses pesticides and selective weed killer products professionally must have received adequate training in using weed killer safely and be skilled in the job they are carrying out. Please ring 01328 700600 to speak to a BASIS qualified member of our team for safe advice on training and qualifications for the safe use of weed killer. 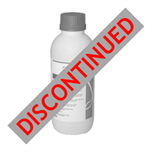 The purchaser and/or end users are responsible for ensuring that these weed killer products are used in line with industry Approved Codes of Practice. All operators must be trained and certificated in using and applying any Ministry Approved professional weed killer product. Please follow the instructions provided. Use plant protection products safely. Always read the labels and product information before use.